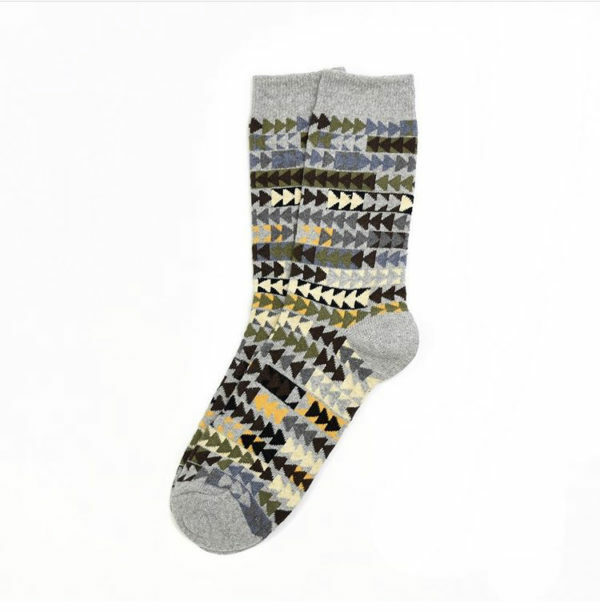 These Patchwork Herringbone Socks in Recycled Cotton, are made by local Philadelphia brand American Trench. Inspired by vintage quilts with Flying Geese patterns, you can wear them with boots, boat shoes, loafers, sneakers, and dress shoes, they do it all. The medium weight cotton and spandex blend makes this one of our best fitting socks for a wide range of feet. Made in USA.